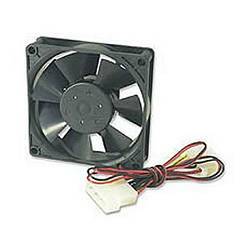 Keep your CPU case cool with a standard 80mm case fan. Reving up to 3000 rpm, it moves up to 27cfm at 28dBA. Connects via a standard 4-pin Molex connector.